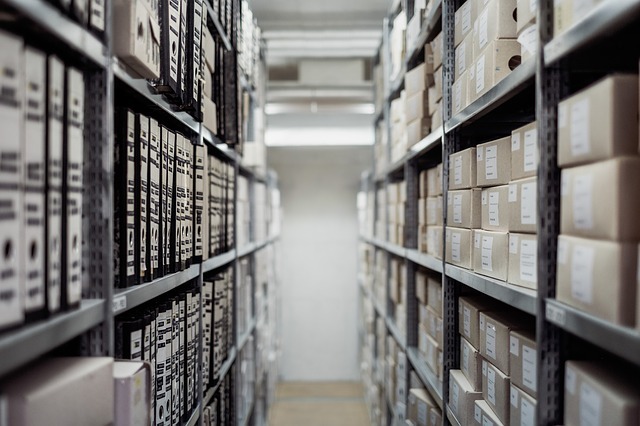 If your company is subject to long-term record storage requirements, or if you need to manage excess inventory, you may have considered renting an off-site storage unit. But it turns out that mezzanines could solve many of your space congestion issues on-site. If your business needs to balance retail space against storage space to replenish inventory, and off-site storage is simply impractical, installing a custom mezzanine storage level could be the perfect solution to fit your budget. Here’s why. There are several direct and indirect costs associated with shifting important items off-site. One potential additional expense is sometimes climate control. You may have liquids with cold storage temperature limits, heat-sensitive materials, or important documents that cannot afford to suffer damage from leaks or humidity, and most storage facilities do not allow materials that could be considered hazardous. The benefit to keeping them onsite is the likelihood that your site is already appropriately climate controlled for your business. Climate-controlled storage units tend to cost much more than standard units and should still be routinely monitored in case leaks develop or climate control equipment malfunctions. When they’re onsite, the costs are already a normal part of your operating expenses. Depending on how far away the nearest available storage units are, you’ll also need to factor in the mileage as well as time spent travelling to and from your storage unit. This is more critical for small businesses that have fewer employees with the time to spare for travelling off-site. If your supplies, materials, or documents are especially valuable, you may also need to extend your insurance coverage to the secondary location to ensure your assets are sufficiently protected. If the supplies or materials require additional equipment such as handcarts or lifts to move back and forth, this can also represent indirect costs in time, gas, or purchase of secondary warehouse equipment. Unless your off-site storage is literally around the corner, monitoring the flow of supplies and inventory can become more of a challenge, especially if the storage space does not allow for appropriate and easily visible organization of materials. You could potentially order too many items, misplace materials if your off-site storage space is in disarray, or have employees use up remaining off-site supplies without consulting the inventory manager. In some cases, the lack of routine monitoring can lead to loss from theft or even damage from improper storage. If you have the vertical space available to make use of a loft area at your business, installing a custom mezzanine is easier and more cost-efficient than you might think. And it can mitigate all the problems listed above, saving you time, hassle, and money while streamlining your business process. These modular systems are robust and still independent of the building structure, and they can be taken with you to new locations as needed. They’re lightweight and sturdy, and they’re bolted together so no welding or scaffolding is needed for assembly, which also significantly eases the permitting process and enables your operations to continue smoothly with minimal disruption during the install. By maximizing your existing space, you don’t have to worry about additional climate control, travel, or time lost on the shop floor or in the office. And with your inventory just steps away, you can easily keep track of orders and materials. Mezzanine construction can also be enclosed with standard building materials to provide additional office or retail space without increasing your rental or existing overhead costs.